Select “American University of Paris” and then create a new account or login if you already have one. Go to the New York Times page and log in to your account. You will have the access for 1 year and then you will need to reactivate your account. 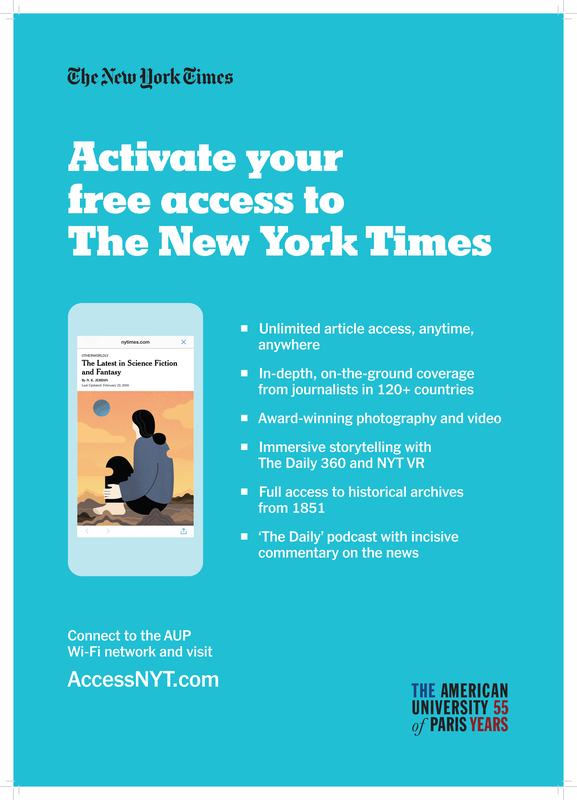 You can download the App NY Times on your phone and tablet, and login with the account you just created.